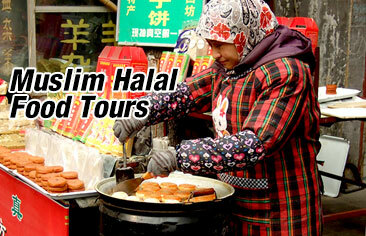 There is an estimated Muslim population of 85,000 in Shanghai and 10 ethnic groups adopting Islam as their religion. As history recorded, Islam was first introduced into Shanghai during the Yuan Dynasty (1341-1868) when Muslims in the Yuan army settled in the Songjiang District. When Ming Dynasty (1368-1644), there are some Muslim generals stationed in Jinshanwei and Jiading around Shanghai. To strengthen the coastal areas, the Ming government had migrated about 2,000 Muslims of Hui minority to the coastal area of Shnghai Jinshanwei. This incident led to the building of a mosque in Qingpu County. 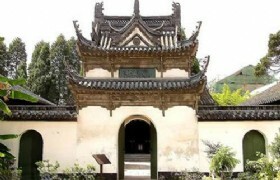 Among those mosques built in Shanghai, Songjiang Mosque is the oldest one to be constructed during the Yuan Dynasty. 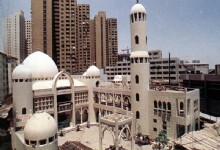 Other major mosques in Shanghai include Xiaotaoy, osuqe, Huxi Mosque, Pudong Mosque, Fuyou Road Mosque and Xiaotaoyuan Female Mosque.